Butternut squash is a favorite and I love to find new ways to serve it. I had made this pesto a while back when my garden had a bounty of mint growing and frozen it. 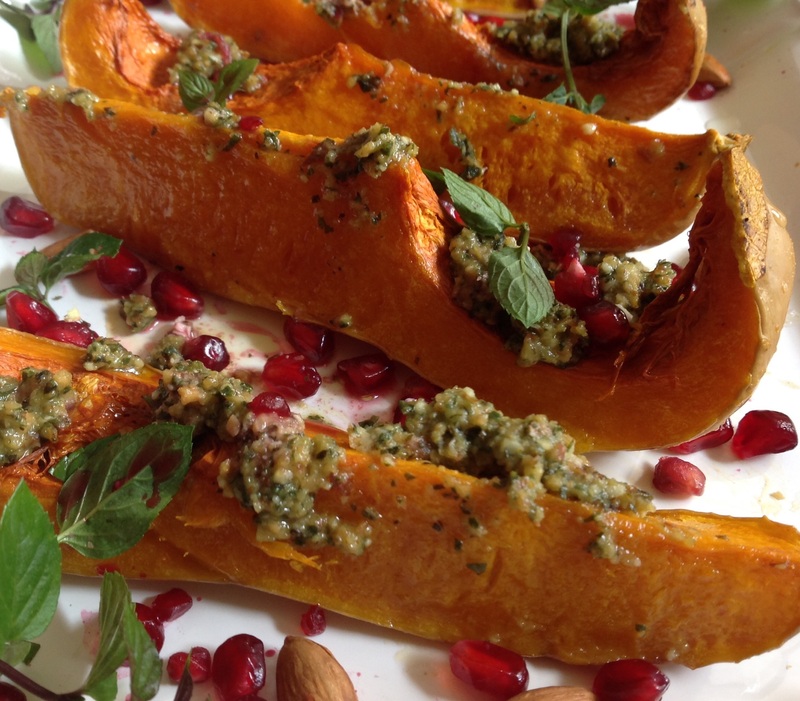 When I saw roasted wedges of acorn squash on Heather Christo Cooks smothered with mint almond pesto, I knew this would be an exciting mariage of flavors to try. You will have plenty of pesto left over for other uses. Freeze the pesto in an ice cube tray, then pop the frozen cubes out and store in plastic baggies to create portions of pesto for future use. My garden still had mint thriving and yours may too! I used fresh mint leaves for presentation. This dish is not only packs an explosion of flavor, it is stunning in its colorful splendor. Fabulous fall eating! 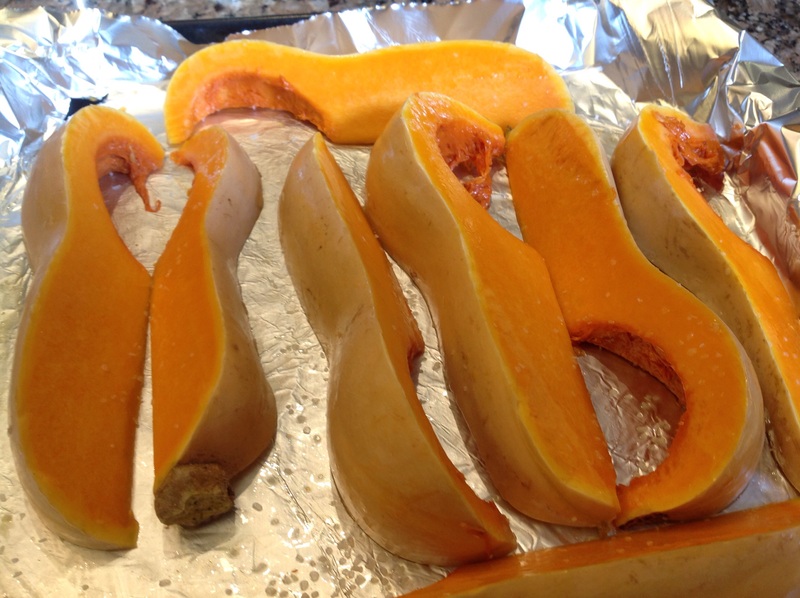 Preheat the oven to 400 F. Coat the squash wedges with the olive oil and sprinkle with sea salt. Roast for 20-30 minutes on the lower rack until the squash is fork tender. To make the pesto, place all ingredients in a food processor and pulse until the texture of oatmeal. You may have to stream in additional olive oil if it is too thick. Can be made in advance and frozen for up to six months. 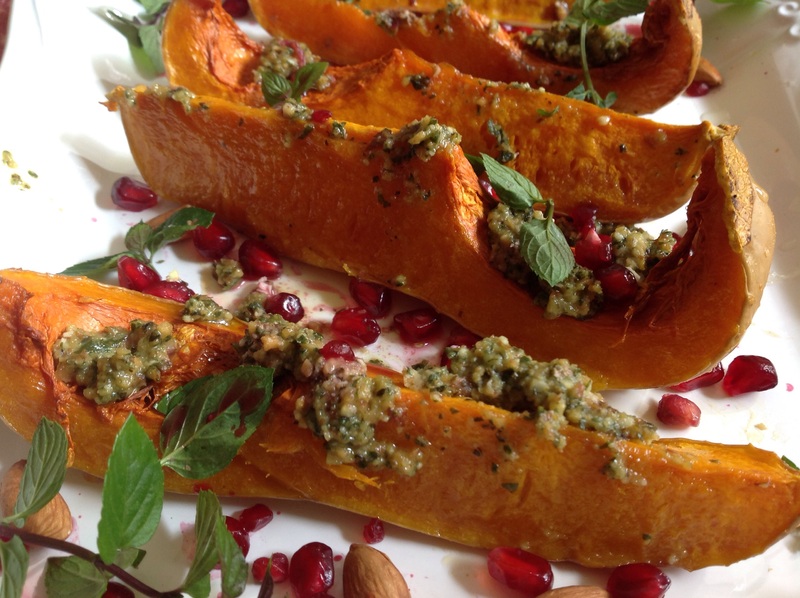 Coat the warm squash wedges with the pesto. 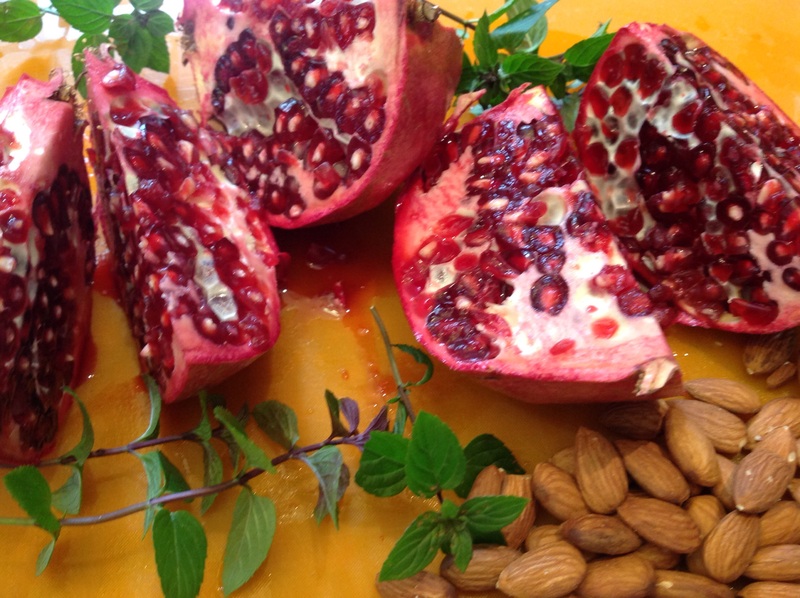 Sprinkle with pomegranate seeds, fresh mint sprigs and some whole almonds. I drizzled mine with the juice produced when cutting the pomegranate. Just so gorgeous and an explosion of unexpected flavor! 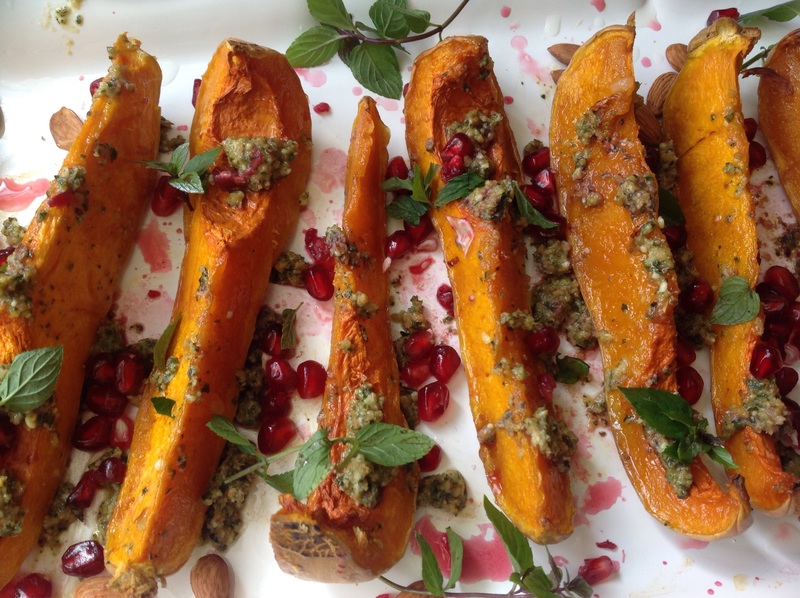 This entry was posted in Recipes and tagged Roasted squash wedges with mint almond pesto, roasted squash wedges with pesto and pomegranate, Thanksgiving, Thanksgiving side by Johanne Lamarche. Bookmark the permalink. Lots of mint in the garden for you if you want some!